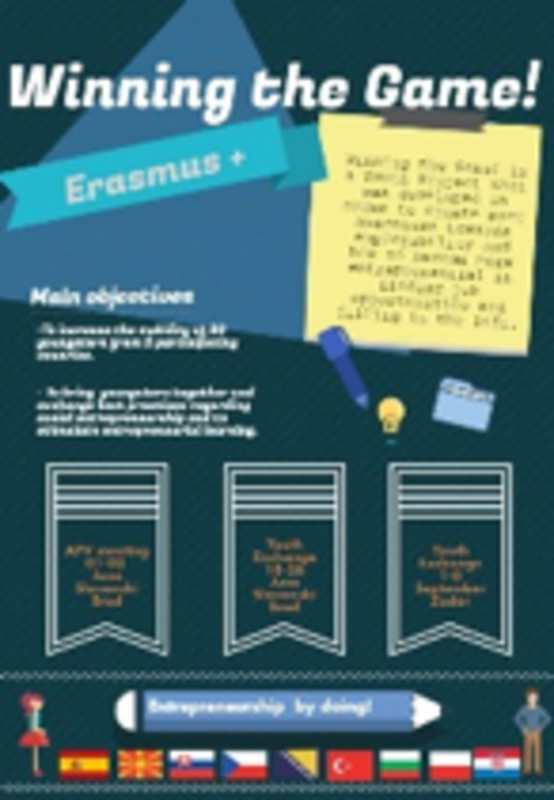 In between June and October of 2016, 120 participants from 9 different European countries – Slovakia, Bulgaria, Czech Republic, Poland, Spain, Bosnia and Herzegovina, Former Yugoslav Republic of Macedonia and Croatia came together with a cause to create more awareness towards employability and stimulation of entrepreneurial thinking through the Erasmus+ financed project called Winning the Game! 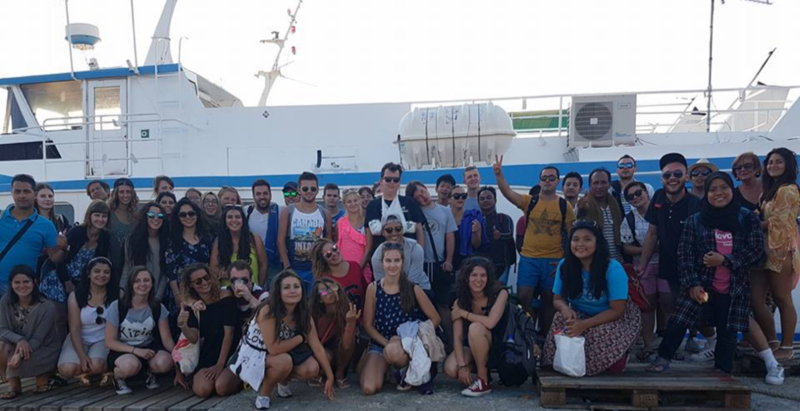 The project itself consisted out of three main activities: Advanced Planning Visit (APV), first and second Youth Exchange. 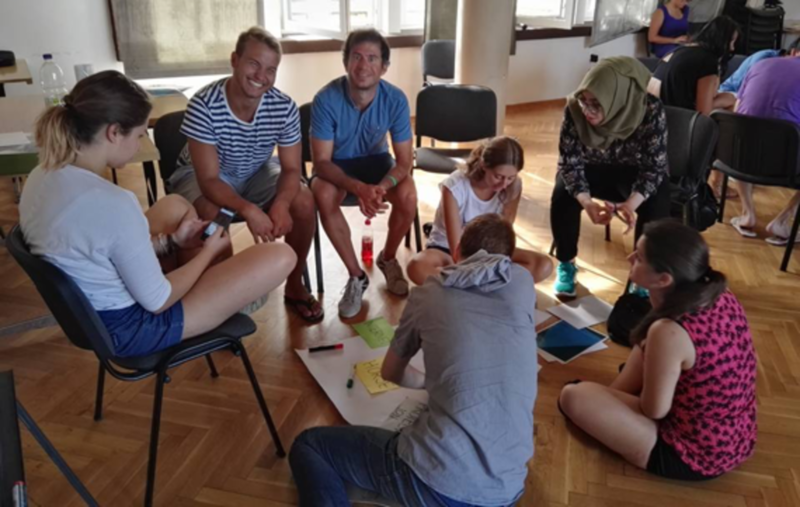 The APV meeting, which took place in city of Slavonski Brod on 1st and 2nd of June, 2016, brought together 9 youth leaders and 9 youngsters from each partner country. During the meeting participants, all together, defined the needs and shared background information about the national groups they are representing. Furthermore, they discussed the situation connected with entrepreneurship, social entrepreneurship and measures that are supposed to increase the employability of youth in each country. Afterwards, participants used previously shared information in order to create the final program for the first exchange under supervision and coordination of the group leaders and looked for possible projects which can be done in the partner organization during the interim period. What is more, the leaders of the partner organizations divided tasks and responsibilities for implementation of the following Youth exchanges among themselves. This was a perfect learning opportunity since the meeting brought the leaders of the organizations, but also the youngsters which did not know a lot about the planning and implementation of the project activities. 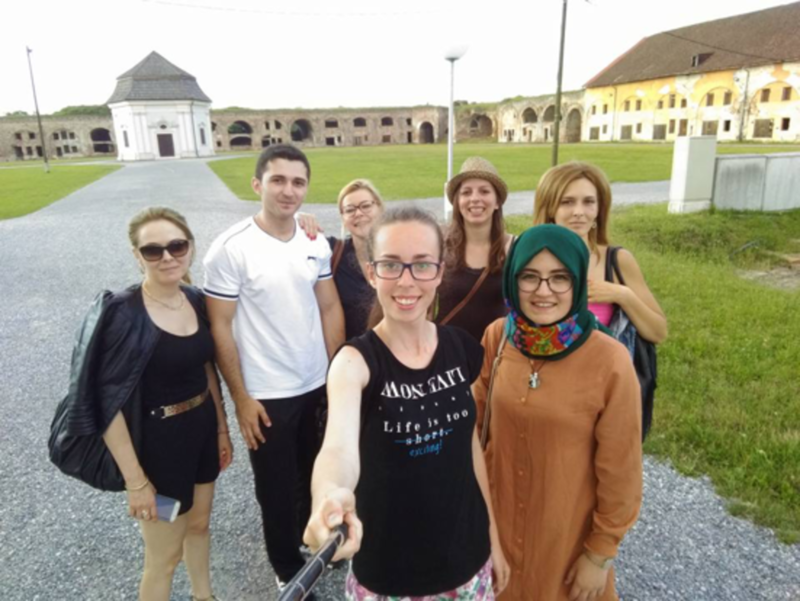 1st Youth Exchange also took place in Slavonski Brod, from 18th till 26th of June, 2016. Main aim of the first exchange was to equip and motivate young people with fewer opportunities to take initiative and chase their own idea with the help of practical information, skills and knowledge acquired through the seminar. Therefore, the exchanged combined frontal, group and individual work. Through the workshops, participants could learn what is social entrepreneurship and how to gain the necessary skills for becoming an entrepreneur. They also performed different simulation games in order to experience and understand the current labor market and employment situation in Europe. Participants could also learn how to successfully fulfill and submit the project application and, in this way, provide jobs for themselves and other youngsters. Once they received enough theoretical information about the project, labor market, entrepreneurship and strategic planning it was time to put that in practice. 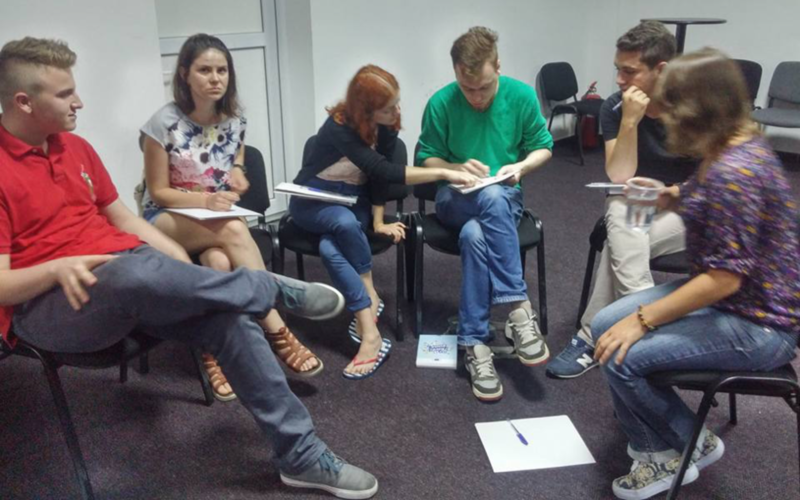 As the most difficult task, participants needed to organize a one day project by themselves – they needed to plan activity, think of the possible ways to earn the funds, implement the activity and present the report afterwards. All of them were pretty much successful, so city of Slavonski Brod was richer for 6 new events. For the interim period, every partner organization engaged participants from the first exchange to create and implement activity for the youngsters with the topic of social entrepreneurship. This events, beside they raised the awareness regarding entrepreneurship, helped into preparing participants for the second exchange. 2nd Youth Exchange implemented under "Winning the Game!" project took place in city of Zadar, Croatia from 01st – 09th of September 2016. Another group of 45 international participants arrived in city of Zadar with aim to learn more about project management, resource finding, sustainability and basic principles of social entrepreneurship, but not only this – since this was the second exchange, one of their main goals was to create materials which can help other youngsters into bettering their future. After participants gained some practical information about social entrepreneurship and entrepreneurship in general, they developed 15 main steps or guidelines which can help anyone into becoming social entrepreneur from ground zero. The steps participants created were collected into the manual named "How to become more entrepreneurial". The manual is available at this link. But, they did not only produce the manual – they also filmed, arranged and presented 15 video tutorials with detailed explanation for every step. The tutorials on "How to become more entrepreneurial" are available at this link. Next thing ahead was to investigate how innovative regional entrepreneurs of Zadar county work and how they arrange their marketing and communication strategies. Due to this task, participants visited 8 different entrepreneurs – each unique in its own way and produced the documentaries with all of the findings they managed to learn. The documentaries with the topic of entrepreneurship were created and collected into this list. For the closure, we would like to thank to all of the partner organizations – Centar za edukaciju mladih, Bosnia and Herzegovina; European Information Centre, Bulgaria; Change it!, Czech Republic; MHD UMKA Skopje, Former Yugoslav Republic of Macedonia; Stowarzyszenie Edukacji Pozaformalnej "Meritum", Poland; EDUCIVIS, Slovakia; PROMOCION EDUCATIVA SOCIEDAD COOPERATIVA, Spain; Konya Metropolitan Municipality Kilicarslan Youth Center, Turkey and Europe House Slavonski Brod, Croatia.